This year the PRISM Awards celebrates 20 years of Public Relations and Communication excellence. As the Awards have grown in stature and support, so too have the benefits that Award winners reap. Whether it is a large Public Relations consultancy or a one-person company – all past PRISM Awards winners can testify to the value of entering the PRISM Awards. Winning a PRISM Award builds faith in existing client relationships and also attracts new business to your company. “I don’t have to sell PR Expert so hard anymore,” says overall 2016 Campaign of the Year winner Janine Lloyd; Founder of PR Expert. “Once people hear about us having won the PRISM Gold Award, people say, Wow, we want to work with you,” commented Janine. PR Expert’s winning entry was titled “Creating Groundswell for South Africa’s First Dance Movie” for film company Coal Stove Pictures. A PRISM Award is easily recognised and highly regarded by industry players. “It was a proactive strategy of PR Worx to play among the biggest companies and to make our name known from our early days,” said Madelain Roscher, Managing Director of PR Worx. “It’s presumptuous to consider your company among the ‘best in the business’ if your work is not being weighed against any industry body. The rigorous assessment process used by the PRISM judging panel confirms that you are not just an All-bark-but-no-bite agency. Garnering recognition for ourselves and our clients through this form of third-party validation has proven to be a highly effective growth-strategy” continued Madelain. The closing date for entries for this year’s Awards is 17 March 2017. As Africa’s most sought-after Public Relations and Communication awards, the PRISM Awards are presented to professionals who have successfully incorporated strategy, creativity and professionalism in their campaigns. 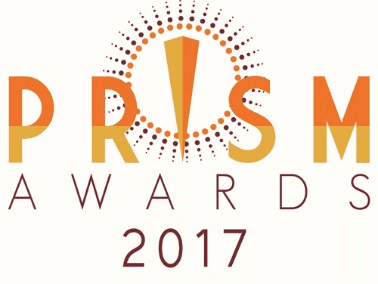 As an offering to the industry, free workshops are being offered by PRISA How To Submit An Award-Winning PRISM Entry in Durban, Cape Town and Johannesburg on 15, 16 and 17 February 2017 respectively.